The well-being of an individual is contributed by many factors, among them is the peace of mind and tranquility. When you have peace of mind, you reduce the chances of being stressed out, anxious, worried, fearful, and prevent depression. Being a homeowner, or a parent there is nothing you would love most, then the surety of the safety of your home and your loved ones. Today many people have opted for a home surveillance system which might comprise of an alarm, smart sensors, locks cameras, and others. The days when homeowners relied on a home security service are long gone because we know there costly and moreover they only offer reactive protection after an incidence has happened. Surveillance cameras are relatively portable and can be placed anywhere, therefore, enabling you to monitor everything that is going on indoors and outdoors. The cost of a home security camera is meager compared to contracting a security service. Home security camera system generally offers peace of mind and a feeling of being secure. Now that you are aware of the benefits that come along with installing a home security camera system the question in many people’s minds is, how to choose the best home security camera system? For those who have gone through a CCTV surveillance camera brochure or have shopped around online, they can testify there dozens of options, varying in prices and specifications and many are the times they have given up on the thoughts of purchasing a home security camera system or upgrading to a new one. The vast array of home security camera systems in the market can be daunting, and this makes it very difficult for one to choose a surveillance camera that meets one’s needs. Fortunately for you, we have created a guide on how to choose the best home security camera system. Just read through and learn on the factors you should consider before investing in a home surveillance system. Who hates cheap? I guess no one but when your home security is in the line, “cheap” should be nowhere in the decision-making process of buying a surveillance camera system for your home. When budgetary reasons influence your choice of a surveillance camera system, then you’re not just compromising your own safety but also the safety and security of your loved ones. It’s not a wonder to find a homeowner who has bought a fake or a dummy camera to scare away inexperienced thieves, but that won’t save you from the experienced buglers who will spot that fake camera at a glance. Go for the best value for money surveillance camera system which best fits your needs. Don’t make decisions based on the price only but look at the full suite of features and reliability that your choice is offering before deciding to settle for it. When buying a surveillance camera, one thing that should concern you regardless of whether everything else checks out according to your needs is warranty. Remember their counterfeits everywhere, and in such a case you can only be offered a statutory six months product guarantee at most, and you can be sure when it’s non-functional within the period you will find yourself in a hardline position with the retailer. A reputable company selling CCTV surveillance cameras should at least offer you a two years product warranty. Before choosing between buying a camera you have to decide whether you need an analog camera, an HD camera or an IP camera. Your choice will be influenced by several factors such as the quality of the image, the video resolution, cost, simplicity, and your present and long term security needs. If you’re looking for a basic camera that has lower resolution image, won’t cost much, covers a small area, has no encryption then an analog camera would be the best choice in such a scenario. For those who are looking for a high definition camera that will offer 1080p videos and images, something that doesn’t require configurations and it’s just plugged and play, something easier to maintain that doesn’t require firewalls, then HD cameras would fit such a description. Again not everyone is satisfied with 1080p, and some of us need a high resolution such as 4K, 8K resolutions. The IP cameras are the kind that detects smoke, sets on and off alarms, sense change of environment, track colors, detect motion, count people and their transmission is encrypted and authenticated to keep more secure. So before making a purchase, you need to think critically on precisely the type of camera that best fits your needs. During your shopping, you need to make a decision between wireless security cameras and wired security cameras. Wired security cameras will require professional installation services since the wires have to be connected to a power source. One of the main advantages of having wired security cameras is its stability since both power and video are transmitted through the wires. In areas where there is high signal interference, or the connection is unstable then hard-wired cameras are great for such areas. Don’t forget since the transmission of the images and videos is through wires; there is a higher chance of getting a higher resolution. If you’re thinking about wireless cameras which are also known as the hybrid cameras, it’s good to know they are easy to install, reposition, and require low maintenance. They can record video and audio in real-time and notify you from anywhere in this world through the access of an app. The only downside of wireless cameras is you need an active Wi-Fi connection, and you also need to regularly check on their batteries to ensure they’re fully powered. Though the night vision is quite useful both in indoor and outdoor cameras, the outdoor cameras require it more than the indoor cameras. During the day your security surveillance cameras are capable of recording color but at night unless there is sufficient support lighting you are likely to get images and videos in black and white. If you want a camera that doesn’t support night vision you need to buy LED lamp or some other support lighting. If you need a camera that supports night vision you need to opt for the one with infrared (IR) technology and the higher the infrared LEDs in a camera the better. When choosing the best home security camera system, you need to consider where you are likely to place the camera. Placement options are generally influenced by factors such as the topography of your home, whether it’s an indoor or an outdoor camera and generally your security needs. Not all cameras can withstand humidity changes, temperature changes and other weather changes such as wind, sun, rain, snow among other elements. The cameras that can be installed in the front door or at the gate aren’t the same ones that can be installed in the backyard or the front porch. When choosing any camera especially a surveillance camera one of the critical factors to consider is how much of an area are you hoping the camera can monitor. The best way to identify how much area can a camera monitor is looking at the camera’s Field of View (FOV). What exactly determines the field of view is the size of the camera lens and the focal length. In case you didn’t know when monitoring large areas the best types of cameras to go for are the ones with smaller lenses also known as the wide=angle lenses. These produce a greater field of view. If your goal is just to spy or monitor a specific thing or a target then larger lenses or narrow-angle lenses cameras are what you should be looking at. Narrow-angle lenses capture large images which have more details. When choosing the best home security camera system, you need to consider the movement of the camera lens when buying a surveillance camera. A camera that has remote controlled tilting capabilities has panning and has zoom functionality then that’s a better camera in providing the best coverage in large areas, and you don’t need to be there to reposition them since you can do it remotely. When choosing a home security camera, you have to consider the storage of the recorded video footage. Some cameras have SD cards of more than 1TB others store their footage on the cloud. Whichever the mode of data storage, always consider storage as an essential factor since others have a monthly subscription. This should be a rule of thumb and its states “always seek some guidance from independent security professional. 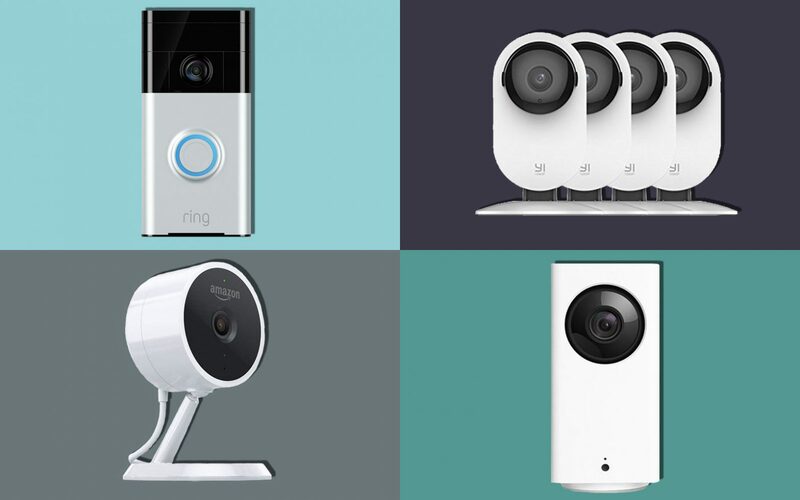 Remember every company will try their best to sell their own brand, but a third party insight might help you see the realities of what you need, which will be vital in determining the best home security camera system. Hopefully, we have shed more light on the question of how to choose the best home security camera system. With these guidelines above you can now make a more informed decision on the best camera that will best fit your needs.